Blackthorn Artifacts are obtained by trading in Minax Artifacts with an Agent of the Crown who can be found in each Loyalty City. 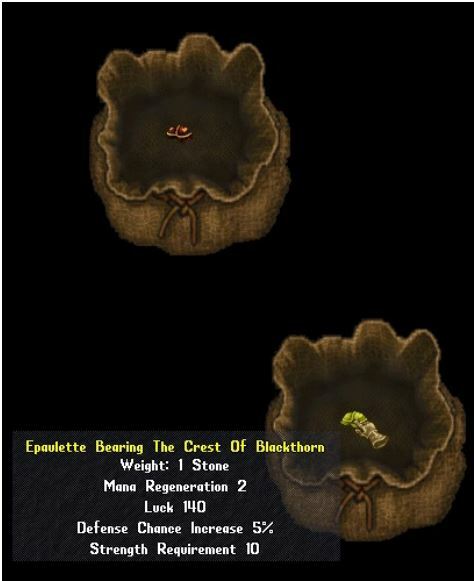 Minax artifacts were initially gained by killing town invaders (Act 2 Revenge of the Enchantress story arc, 2013) and can now be obtained from all areas of Castle Blackthorn Dungeon. 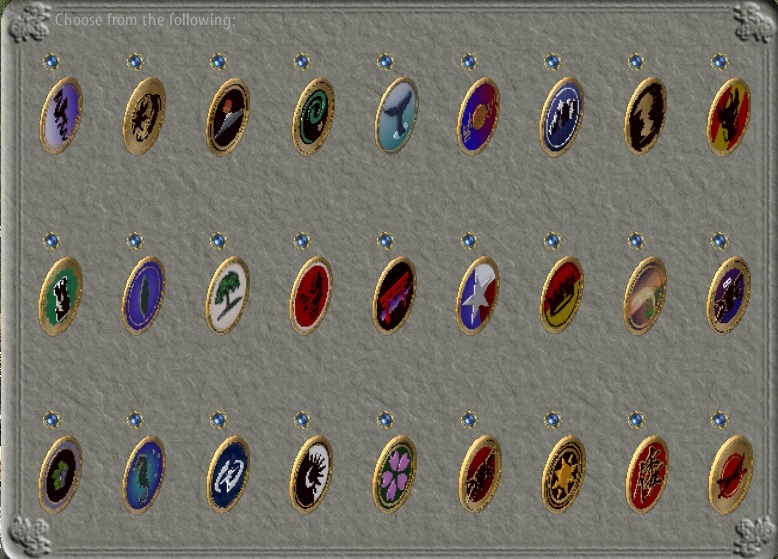 The artifacts consist of some decorative items and armor/clothing item groups, each item has the description ‘Bearing the Crest of Blackthorn'; each clothing/armor artifact occupies a particular armor or clothing ‘slot’ and is available in several styles. Choose the style that best fits your character. The items are based on, and have the same properties as, previously spawning items. Note: The style choice available does not include the original format of the item. 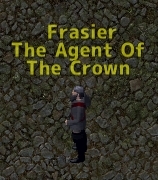 Single click the Agent of the Crown to get a context menu. 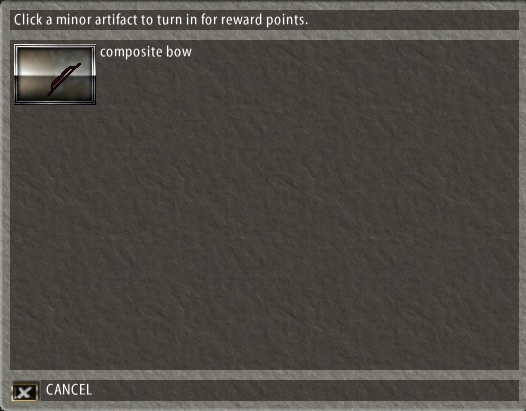 The presence of a Minax Artifact in your back pack will cause the greyed out turn in option to become available. I have Conjures shroud, All Pigments of Tokuno work. Does anyone know if the reward artifacts are dyable? Cloth rewards using normal dye tubs, black dye tubs… Leather rewards using leather dye tubs etc? If not, can they be dyable using pigments of tokono? Or are they red forever? I have the hooded robe equivalent of the Conjurer’s Garb and it IS able to be dyed. I have only used regular dyes and a white cloth dye tub on it, but I assume black dye could be used as well.